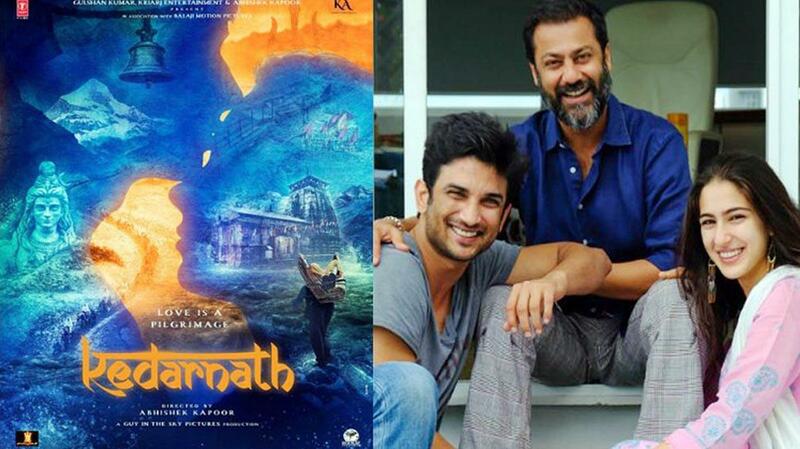 Mumbai, Dec 13: Abhishek Kapoor says the story of "Kedarnath" touches upon the country's topical issues, not with the intention to spark a controversy or commit blasphemy but simply to provide healing to people in the current divisive times. Set against the backdrop of one of the worst human tragedies, the film chronicles the love story of a Muslim porter and a Hindu girl, while making a larger commentary on religious inclusion. Kapoor says the team "recognises" the issues they are talking about in the film are delicate and they tried to handled them with a lot of sensitivity. "If you just look at the current state we are in, this entire election has been fought on Hindu-Muslim politics, after that you got the entire Sabrimala issue going on. If you look at this movie, it is touching upon all these issues. It's a very delicate subject to touch upon," Kapoor told PTI. The politics of religion is a recurring theme for Kapoor, who previously touched upon the same in his "Kai Po Che! ", which chronicled the story of three youngsters whose friendship is put to test during the Godhra train massacre and the communal riots which followed. "I try to make very Indian films. We are just trying to show a mirror to the society. I am not someone who is very articulate and keeps talking. So whatever I've to say and I feel about my country, I show through my films. "This is who we are. If that's a repeating thread in a couple of my films, it's just because it's out there. It's so clear, present, in your face divisive instrument -- religion." Featuring Sushant Singh Rajput and Sara Ali Khan, "Kedarnath" released last Friday and has been warmly received by the audience. Critics, however, have pointed out similarities between "Kedarnatn" and the epic romantic-disaster-drama "Titanic", saying Kapoor's film follows a template of the James Cameron classic. Kapoor says there's nothing similar between the two films. "If you ask me, 'Titanic' is a lot like a Bollywood film to some level. Other than the fact that there is a background and a love story upfront, there is nothing similar. 'Titanic' offers you so much more in terms of VFX and special effects. "But 'Kedarnath' is not about VFX. VFX is there for you to just understand certain things, not marvel at. This is not that film. It is about you me, our country, our issues, our Hindu-Muslim divide, Shiva," he says. Kapoor says when critics watched the film, they brought with them certain expectations. "They probably have seen my earlier films and are looking for that director who made those films. My attempt has just been the contrary. I prefer to disappear and re-invent myself. I want to be new a director every time. "To have a signature that 'this is my film' is too egotistical for me... I think people haven't seen seen for what it is but seen it for what they think it should've been. Which I don't think is fair," he says.